Part One of our basic tutorial on reviewing books! I have been blessed to become Facebook friends and members of several author’s group pages in the last couple of years, and was really surprised at how the authors have to keep ‘requesting’ their fans to do reviews on the books they publish. I mean, hey, we obviously like their writing, or we would not be a part of their page, right? But when I questioned a couple of the authors, they mentioned that some readers are intimidated by doing reviews, or afraid they don’t know how, or even where to do a review. This made me sad, and I started brainstorming about how maybe I could help get more readers to leave reviews for the authors we all love so much! And so, my “tutorial” series was born! I have been a voracious reader since a young girl, but back then there weren’t a lot of ways to review books (at least not that I can recall). In today’s age of Social Media, different readers groups, Twitter, Facebook, and book sellers online, etc., reviews are a really big part of an author’s ability to reach other readers, especially readers who are not familiar with the author. 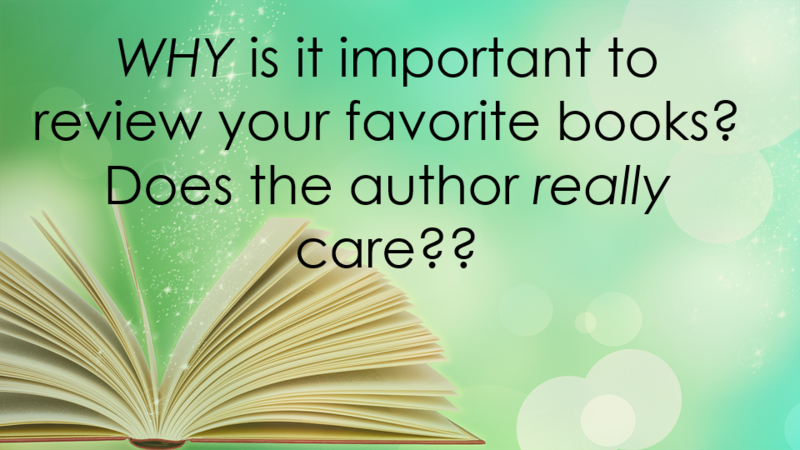 Why are book reviews important to authors? Book reviews can be seen as a spotlight for writers, and positive reviews can connect an author directly to their intended market of readers who enjoy said author’s genre or style of writing. On bookseller websites, the number of reviews can garner that book a higher visibility when someone is searching for new books to read. Author’s truly take every review a reader leaves for them into consideration! When a reader takes the time to seek out a platform to review a story they read, well, that is like a gift to an author. I have even heard a few authors mention how they might be having a bad day (hey author’s are people too, lol) and then they see a positive review on one of their books and it lifts up their whole day! Can you imagine that? The very author we adore and love to read has been uplifted by one of our reviews? What an amazing gift of appreciation is that? Favorable reviews of an author’s book will help generate their respectability. An author’s book can benefit significantly from supportive reviews, in addition help generate new sales and new following. An encouraging review is a testimony for anyone looking to buy an author’s book when they have not yet ever read anything from that writer. The more favorable reviews a book has, the more it is publicized on the book sellers websites. To be frank, it helps sells more books! Let’s face it, our authors need our support to keep them writing – and we certainly want to keep them writing so we can keep reading! To put it simply, the existence of book reviews can assist in validating the integrity of a book and help create who the book’s fan base is. Then once established, other like-minded people are much more inclined to want to purchase and read that same book that was so popular. 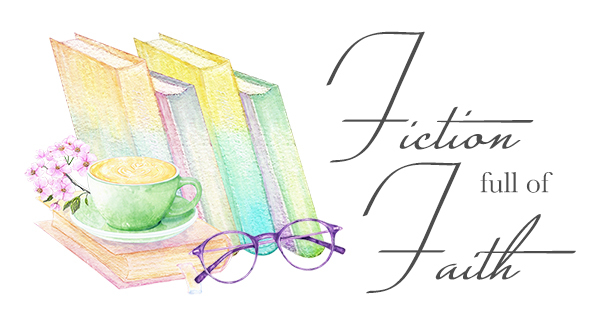 I know the many authors I connect with on a daily basis tell me that writing Christian Fiction is their ministry. That’s right, it is how they honor our Lord and spread the Word of God to everyone who reads their books. 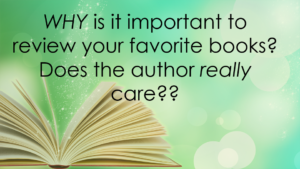 To be perfectly honest with you, this is one of the reasons I began this blog – I feel like it is my calling to reach out to anyone I can about these amazing authors! 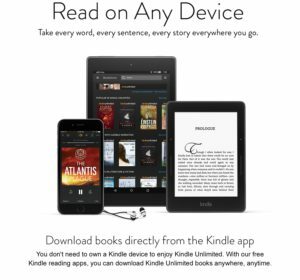 So, how about it, readers – do you want to help support your favorite authors AND introduce them to other fans? Stay tuned for the next “episode” on HOW to write book reviews! Next HOW to write a book review! I love doing book reviews. I wish I could still post on Amazon. Bless you for reviewing! Why can you not post them on Amazon? Janice, hugs. Amazon can be tricky! So many good reviewers are getting banned from reviewing there, too. 🙁 I don’t review there often because being friends and working with the authors can be seen as a conflict of interest. I’m sure Paula will cover this later in the series, but there are other ways to get those reviews seen. BookBub and Goodreads reviews are also helpful to authors, and can also help reviewers get a following of their own there! Posting a review to Facebook also helps. So thankfully, Amazon isn’t the only show in town for those reviews. I’m not sure if you’ve considered this for your tutorials, but I thought I’d mention it anyway: The Negative Review. You make a lot of great points about how positive reviews help authors, but it seems like you’ve ignored negative reviews here. I’ve had a lot of readers tell me that negative reviews have helped them to avoid a book that may have looked like it was for them, but in reality really isn’t for them. While authors don’t like them much, I think a negative review is more for the reader than the author, though the author may get constructive criticism out of it too, and thus they have a place in the reviewing world, especially if you take care not to bash the author directly. Thank you so much for sharing, Victoria! Yes, I do plan to address negative, or not so positive reviewing in another installment! You are so correct about this aspect as well! Agreed, Victoria. Negative reviews can be an ouch for an author, but a well-written and constructive negative review can be just as much a gift to the author as a glowing 5*. And far more of a gift to other readers! When considering buying a book, I admit to checking any negative reviews first to decide whether the book is for me or not. The “Didn’t enjoy the book,” reviews giving no reason why are frustrating! Though it’s way harder to craft a good negative review, a 1* or 2* that doesn’t give the reasons why helps no one. I hate leaving 1 or 2 star reviews on a book, but I also would rather be honest about my feelings rather than sugar coat, or outright lie about things. Heck, even 3 star reviews are considered negative reviews anymore! I’ve had authors refuse to let me read for them further or called on their street teams to bury my reviews, just because they’re honest and not 4 or 5 star reviews. Gets to the point where you almost don’t want to review publicly anymore because of it. I am so sorry to hear that, Victoria, everyone is entitled to their opinion. I think when we put out books out there, authors need to be ready to accept whatever the reader’s honest opinion is, regardless if it’s 1* or 5*. As a reviewer, you have a responsibility to other readers to be honest, and I applaud you for that. Keeping readers who give negative reviews on the street team is a trickier issue. It it’s just an issue with one particular book for whatever reason and they’ve enjoyed my other books, that’s just part of the process. Unless an author is writing the same book with very similar characters over and over, it’s unrealistic to expect every book to resonate with every reader. OTOH, if someone on my team left a string of 1* and 2* reviews, it’s probably time to have a discussion whether they really want to be part of the team any more. Could be my writing has changed direction and they’re not enjoying it any more. Or it could be there’s an issue with my books I need to pay attention to and she’s the only person honest enough to say so! 3* reviews are odd things. It’s reasonable to assume they’re neutral, but Amazon counts them as negative reviews. Personally, I’m concerned if my books get a bunch of 3*. That’s a “Meh” sort of review. Good books polarise readers and create strong emotions and will attract 5* or 1*. OTOH, 3* is just lukewarm. Ugh! And it’s authors like you, Autumn, that keep me going with book blogging and ARC reading! I agree with everything you’ve said 100%!! Great insight! Thank you so much for sharing, Autumn! I just thought maybe this might help authors and some readers to figure out how to go about reviews. I’ve also in the year and a half come to realize just how important the reviews are for authors and in courage readers to write them. Thank you for your wonderful insight, Kathy! I appreciate your input so much! The next installment for this “series” will be on HOW to write reviews, I hope it will help! I think reviews are important. But I don’t go looking for them on my own books. The only time I look over them is if I’m doing a new advertising campaign. Then I’ll read them for something interesting to add to the campaign. A negative review can, in fact, help the author judge what readers like and don’t like, but I never base a negative review on whether I’m going to read someone’s book or not. We all have our own particular likes and dislikes in reading. If I can’t give an author a 3 star review, I don’t give any. I don’t see the point in being so negative when someone else may truly enjoy what they’ve read. You’ll find, along with the negative reviews on books, there’s always someone who really enjoyed the story. Just my opinion. I loved this article, Paula! Thank you so much for writing it. Yes, a good review makes my day. And reviews help readers find new great books. Truly appreciate all your enthusiasm in helping authors. Thank you so much, Alexa! As I stated, I believe this is my calling – to get the word out about amazing authors like yourself!! My pleasure! I consider it an honor to help author’s like yourself!! Great article, Paula. I’m looking forward to the rest of the series. And thank you so much to the readers who do review. It takes time, it’s not always easy, but it’s such a blessing both to the author and to other readers. Thank you, I am glad you enjoyed! Great post! I agree it’s important to leave a review for authors. I usually try to leave one whenever I read a book. Mostly my reviews are short and I share how the book makes me feel. What the book has in it – eg: suspense, humor, drama, romance. I try NOT to do a synopsis because the author has already done that and I don’t have as eloquent words as they do. I do sometimes leave a quote from the book just to share a nugget that touched my heart. I know it helps the authors to get their books seen, and I want to give back to them. Thank you for sharing, Marylin! I completely agree with you! I appreciate your post on reviews and all the comments. It’s nice to see readers willing to post reviews. Thank you, Zoe! I hope the next installment gets as much great attention too! When is the next installment? I would love to learn how to write better reviews.